We have a 1 hour blocked drains response throughout Sussex, Surrey and Kent. CCTV drain surveys can identify blockages in pipes & sewers. Whether that be a suspected broken or collapsed pipe, or to help trace an old drain to add a new drain, a CCTV drain survey can usually provide the answer. It can also be used to help find damp, or to investigate drainage problems in home buyer surveys. Book our CCTV camera drain inspection with full reports today - Call us for a free cost quote. A CCTV inspection is where a small camera is inserted into the drains which allow us to analyse the drainage system for breakages, cracks, root damage, damp, and more. Once we have identified the problem we can resolve the issue. CCTV inspections enable us to do this quickly making it more cost-effective and hassle-free for the customer. A CCTV drain survey is needed to identify faults in the drain. Without it, any damage could lead to something considerably more serious and expensive in the future. The report will help you understand your system along with any issues. 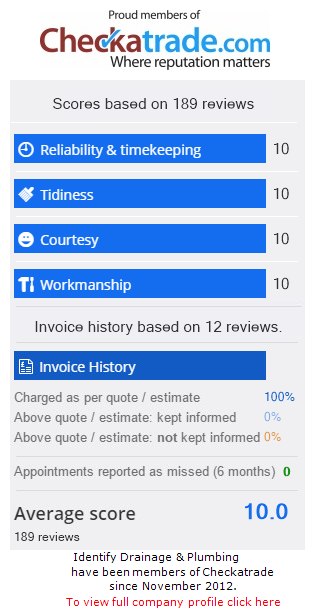 We will be more than happy to discuss the data the CCTV Survey recovers along with providing repair solutions for any drainage issues identified. 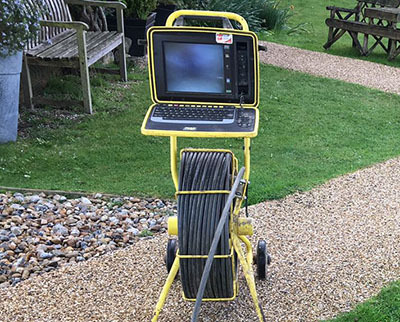 CCTV Drain Surveys are also used for the purpose of house sales, building works or public drainage systems. The survey includes a full report, any CCTV footage and if required, a detailed drain map. Contact Identify Drainage & Plumbing Services for a Homebuyer Drainage Survey to check your drains and manholes for any issues to help speed up exchanging contracts. All data can be sent via Dropbox online or on a USB stick.